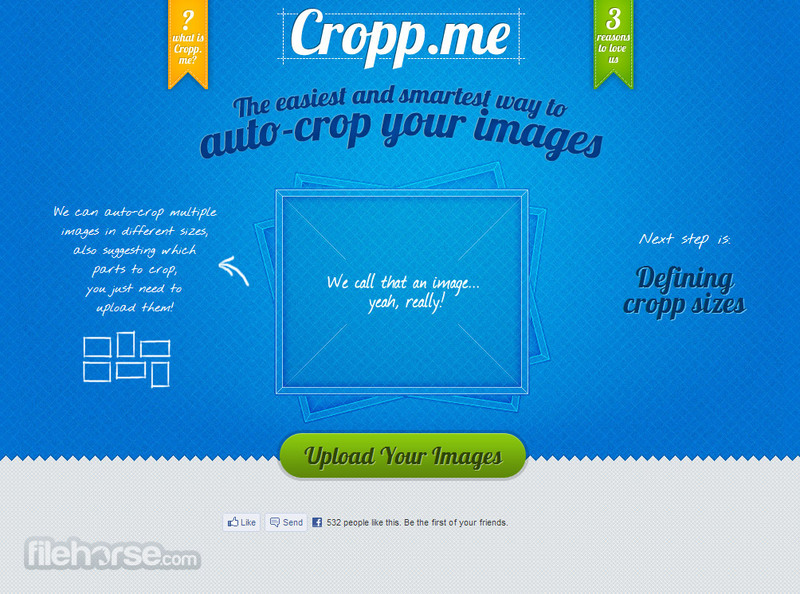 Cropp.me is easy to use web service that allows you to quickly and effortlessly crop and resize your images online, whiteout the need of using expensive and complicated image editing applications. Everything that you need is placed inside your web browser! With Cropp.me you can crop and resize images of all shapes and sizes, enabling you to use them in your projects, share with friends and work on the go. To ensure ease of work, image editing can be automated and done in the matter of seconds. All that you need to do is to upload images and chose which size you want them to be (the most common sizes for social network sites are already there, from small avatar sizes to big pictures for galleries). 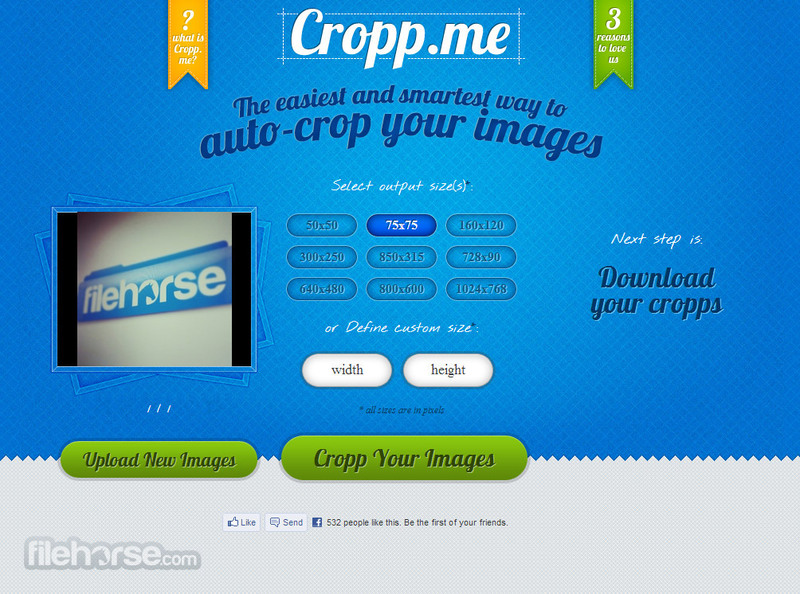 Powerful online crop tool! To help you get your work done more quickly, Cropp.me enables you to upload up to 5 images simultaneously, even supporting custom resize or crop options on each one. Additionaly, you can edit one picture into several ones, all with varying sizes and shapes. For example, with only few mouse clicks you can transform your vacation image into avatar, banner and gallery image! There is a webapp for everything you want to do today, from checking weather on other side of the world to optimizing hundreds of services of your entire computer to raise its performance. However, image editing is a field that has received much attention from the developer community in the recent years, with hundreds of apps being available to manage every single thing you can imagine. Cropping images is one of the most commonly used tool ordinary users need to use on regular basis, and webapp Cropp.me represents one of the fastest, most streamlined and easy to use editors to preform that task. With Cropp.me all that is user tasked to do is to load its image or images, define crop size, activate app and then download the finished image files. Because this image editing tool is used so much, Cropp.me offers more than one account type, so that it can cover the needs of everyone from home users to professionals. 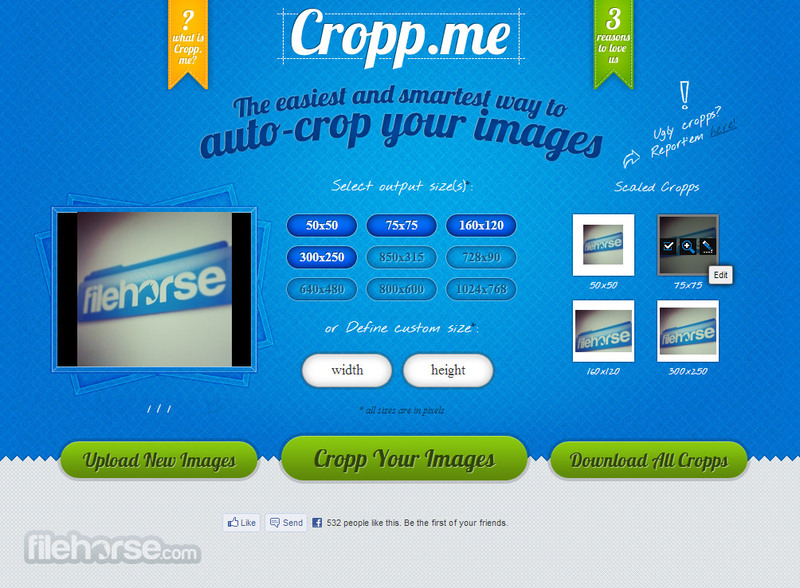 Free version of Cropp.me supports editing of up to 10 images per day, 2MBV per image, and 50 images per month. If that is not enough, you can become Active ($9.99 per month) or Pro ($34.99) member that can remove almost every limitation that you would require, enabling you to process up to 10 thousand images per month, up to 30 images per once with unlimited image size or resolution. 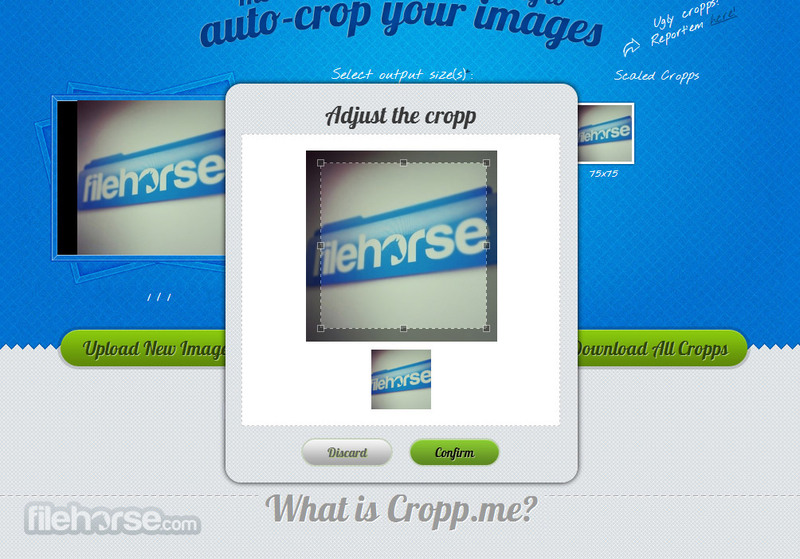 Powerful online crop tool! Cropp.me is easy to use, it provides stable service, and can be accessed no matter where you are from any internet-connected PC. No need for a desktop software any more to crop your images!